Carmen's is not only a complete janitorial sales company, but we service machines across all makes and models. 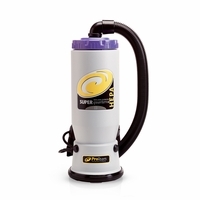 With that being said, we do have refurbished vacuums available from time to time so keep checking back! If you see one below, that is because at one time - WE HAD IT! So email to see if we have any more and haven't had a chance to update the list! Thanks for looking!